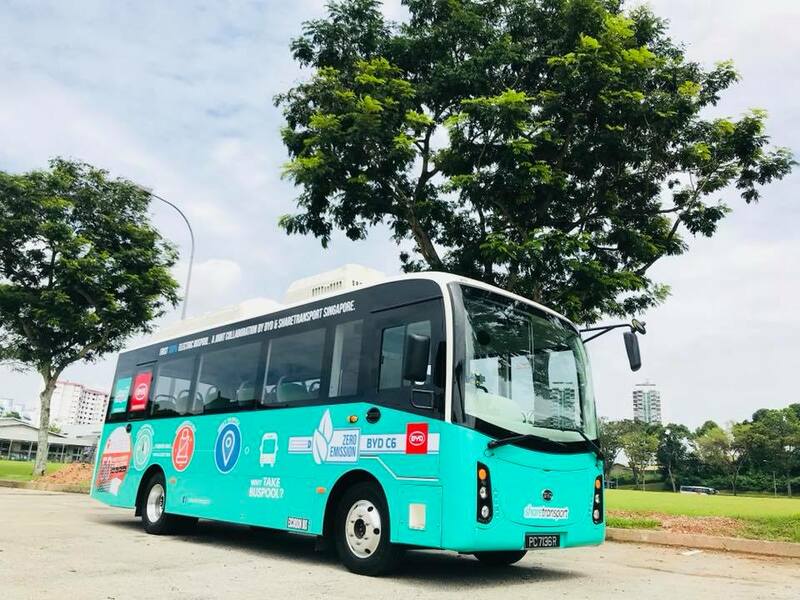 ShareTransport, a subsidiary of Commute Solutions Group, officiated and began trial for Singapore’s First 100% Electric 24-Seater BYD Electric Bus, BYD C6, on Thursday, 12 July 2018. It is the first of such collaboration between BYD (Build Your Dreams) Singapore and local bus-pooling provider ShareTransport. The ribbon cutting ceremony took place in conjunction with ShareTransport’s new office opening, which was held at Mega@Woodlands. The BYD C6 will be on trial with ShareTransport for a 1 Year period. The bus has range of 200 km on a full charge and comes equipped with USB Charging Ports for commuters. 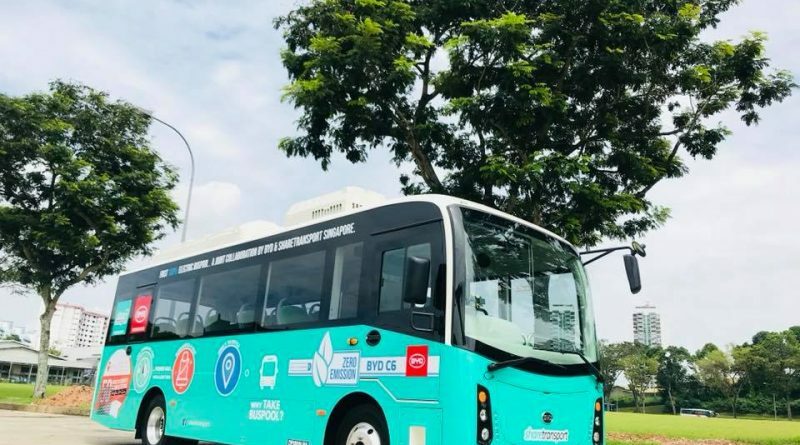 The BYD C6 bus was initially deployed on ShareTransport Route SS1, from Sembawang to Shenton Way via Admiralty Dr, Sembawang Cres, Sembawang Ave, Sembawang Rd, Yishun Ave 7, Upper Pickering St and Church St. It was subsequently redeployed to ShareTransport Route JS1, from Lakeside & Corporation Drive to the CBD and Suntec City. Both Daily and monthly passes are available for purchase on the ShareTransport’s mobile app.